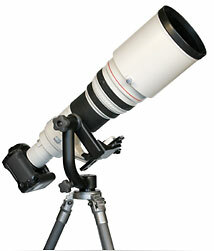 What if I have a heavy lens & light weight camera body or heavy camera & lighter lens? On a Wimberley gimbal head, your gear needs to balance properly for the lens support to be effective and give you optimal results. Your goal is to have the weight on your head distributed such that, with tilt and pan mechanisms loosened to move freely, you can point your lens in any direction and it will stay there without moving. Once you have the weight of your gear evenly distributed 1. on either side of the quick release clamp, and 2. above the center of gravity, the movement of your camera and lens should be practically effortless. You have a heavy pro camera body (D2X or 1D MKII), or a body with a battery grip, and you are using a relatively light weight lens, such as a 70-200mm. You are using a lightweight camera body, such as a Nikon D80 or D200, with a large, heavy lens such as a 400mm 2.8 or 600mm f/4. Your lens profile (the distance between the lens barrel and the lens foot) is too tall (requires the use of a Sidekick Shifter plate or a lens replacement foot). This is only the case for a few lenses. Think of your gimbal head as a see-saw. The more weight you add to one side, the lower it drops on that side. The quick-release clamp on the Sidekick or the Wimberley Head is basically the center of the fulcrum. Your camera body is on one side and the bulk of your lens is generally on the other (see figures below). Just as you would try to level a see-saw, you must add weight to the opposite side of the fulcrum to level your gear. There are a few ways to do this. Reposition the lens/camera combination by sliding the quick-release lens plate or replacement foot forward or backward in the clamp. 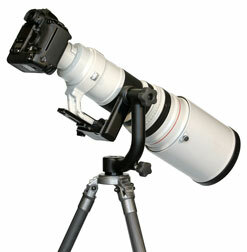 When the weight is evenly distributed, the lens should not tip to one side or the other. This horizontal adjustment is the only adjustment you can make when using the Sidekick, however on the full Wimberley Head there is a vertical adjustment you can make if the set up is hyper-stable (you point it up or down and it returns to level from either direction). This is why the use of a shifter plate or replacement foot to adjust the position of the lens relative to the balance point on the Sidekick is very important. Additional accessories may or may not add a significant amount of weight to either side. If you add a flash bracket and flash unit to the front side of the lens plate of the Sidekick, you may see the front of the lens droop downward. You will therefore need to reposition the lens plate so that more of the plate is on the back side of the clamp to compensate for the change in weight distribution. F-6 Sidekick Flash unit and bracket were attached to front of the lens plate. The weight was rebalanced by sliding the plate back just a bit in the clamp. If you add the weight of the flash unit and bracket to the back end of the QR plate by attaching the bracket behind the clamp, you may see the camera end droop and the lens tilt up. Sliding the plate forward in the clamp, which moves more weight forward, will redistribute the weight and allow you to rebalance each end equally. Our lens plate recommendations were originally determined to be sufficient for an average weight pro film camera body to be balanced with each lens. With the advent of heavier digital pro bodies, and smaller digital SLR's that have large mega pixel ratings, not all lens/camera combinations are going to work optimally. If you plan to use a heavy digital pro body with a lens smaller or lighter than a 300mm f/2.8, a longer lens plate than recommended may be required to allow you to redistribute the weight properly for optimal balance. However, if you have an exaggerated differential in the weight of the two ends, as with a very heavy pro camera body and a really light lens or a light camera body and a large heavy lens, moving the plate within the clamp may not redistribute enough weight to equal both sides, and therefore you will not be able to achieve optimal balance or performance by plate repositioning alone. This only happens in just a few lens/camera combinations. If you have trouble getting your gear to to balance on one of our heads, contact us and we will be happy to assist you in finding a solution.